Global surface temperature in 2015 easily beat the previous record holder, 2014, for the title of warmest year in the modern instrument record. The long-term warming trend of the surface and lower atmosphere continued. Sea level hit a new record high in 2015 thanks to long-term ocean warming and thermal expansion, melting glaciers and ice sheets, and a boost from one of the strongest El Niños on record. Ocean heat storage has increased substantially since 1993, hitting a record high in 2015. 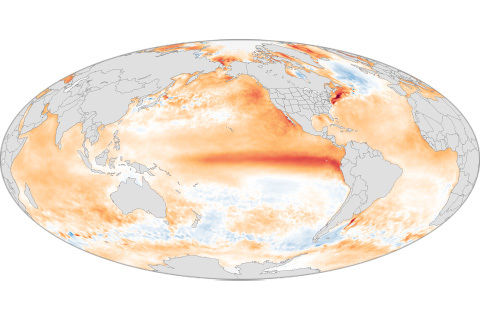 Ocean warming accounts for over 90% of the warming in Earth’s climate system. Global carbon dioxide levels hit a new high in 2015, and the observatory at Mauna Loa recorded the largest one-year jump in annual average concentrations. 2015 was a tough year for vegetation, with a near-record area of global land surfaces in some state of drought. The area in severe drought increased from 8% at the end of 2014 to 14% by the end of 2015. In 2015, glaciers across the globe, on average, continued to shrink for the 36th consecutive year. Cumulative mass loss since 1980 is 18.8 meters, the equivalent of cutting a 20.5 meter [67-foot] thick slice of the top of the average glacier. Few areas of the globe were spared a record number of extremely warm days in 2015. 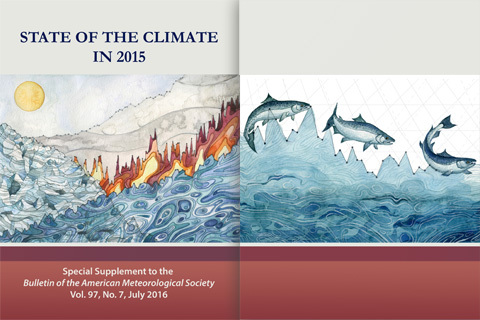 The State of the Climate report series is the authoritative annual summary of the global climate. Published in the Bulletin of the American Meteorological Society, the report is edited by scientists at NOAA’s National Centers for Environmental Information. The 2015 report is based on contributions from more than 450 scientists from 62 countries, drawing on tens of thousands of measurements of Earth's climate. The report confirmed that 2015 surpassed 2014 as the warmest year since at least the mid-to-late 19th century. The record heat resulted from the combined influence of long-term global warming and one of the strongest El Niño events the globe has experienced since at least 1950. Most indicators of climate change continued to reflect trends consistent with a warming planet. Several markers, such as land and ocean temperatures, sea levels, and greenhouse gases, broke records set just one year prior. Browse the articles below to learn more about our changing planet. Climate scientists keep careful records of extreme events around the world to understand the type of climate hazards that different parts of the world are vulnerable to and whether those events are becoming more frequent or intense over time. From devastating cyclones to crippling drought, this map highlights the events that scientists from around the world decided should go down in the 2015 record books as the year's most significant. A record-smashing hurricane season in the central North Pacific. Water rationing in Puerto Rico. The biggest one-year jump in atmospheric carbon dioxide concentrations on record. Severe drought in Ethiopia. The hottest global surface temperature—by one of the largest margins—on record. Those are just a few of 2015’s major climate happenings documented in the recently released State of the Climate in 2015 report from NOAA and the American Meteorological Society. 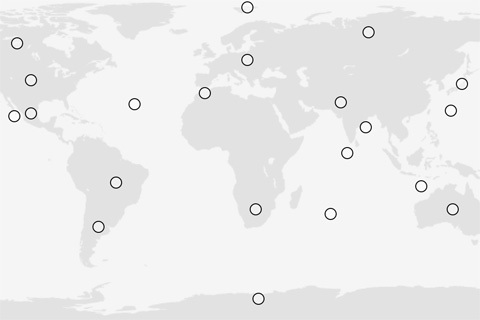 While the events were scattered across the globe, they all had one thing in common: they were all connected to one of the three strongest El Ninõs on record. Glacier scientist Mauri Pelto provides an annual update on the status of mountain glaciers each year for the State of the Climate report. This year, his daughter's climate-inspired watercolors appears on the report's covers. 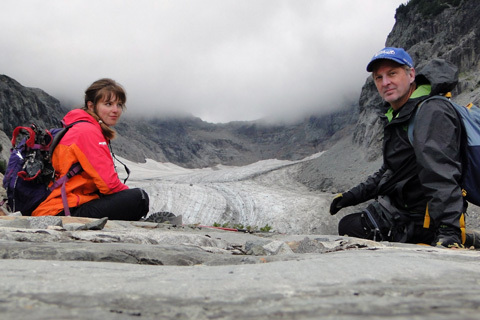 Pelto and his daughter, Jill, talk to NCEI's Deke Arndt about about how climate science keeps bringing their family together. 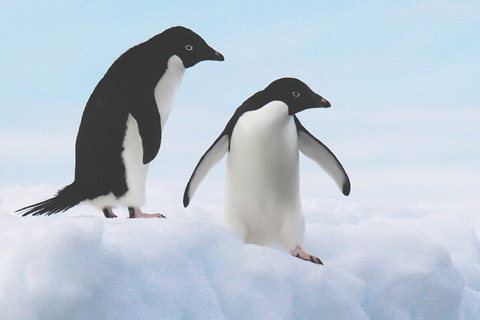 Loss of sea ice is changing the behavior of Arctic walruses and causing huge declines in some Antarctic penguins species. Warm water fishes are driving polar species out of the Barents Sea. Report editor Jessica Blunden surveys some the dramatic changes in ocean life documented in the State of the Climate in 2015 report.